1. What is the definition of "eSport"? There's a question: what is the borderline between eSports and non-eSports? Do you think Dragon Quest 3 IS an eSport? Hameko (chairman of Evo Japan): I think the important point (about whether or not a certain game is an eSport) is "if a media business of the game can be profitable." Daigo: I think there's no need for us to use the word "eSport" instead of "game." Hameko: Agreed. We've been making what it is with "games," not "eSports." Nemo: The word "eSport" helps us make those who aren't interested in games and have negative impressions of games understand what it is. Hamamura (from JeSU): We discussed about it. We didn't want to use the word "eSports" and were hesitant to use it until the end, but we agreed to use it as we all, including the IP holders, thought it would help us make it seem better and explain who we are to foreigners. Fuudo: Was there any other candidate? 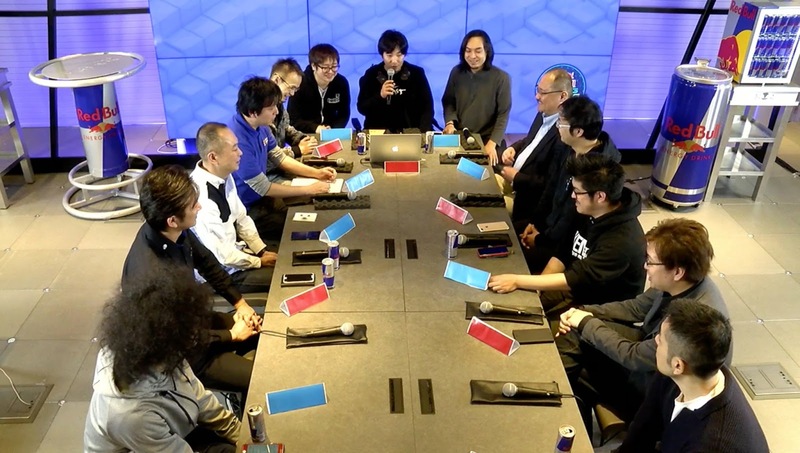 Hamamura: What I can tell you is that "eGame" was on the table. Umezaki (CEO of DetonatioNGaming): When I make a presentation to get sponsorship, companies usually say "game tournaments." And I reply "no, they're eSports. They're not just game tournaments," and show a video of League of Legends' grand final in Japan to them. That way, I can make them see "this is a sport." Hameko: It's interesting. Contrary to him, when I heard people at Evo Japan say "wow, eSports are so great," I said "no, it's just a game tournament." It's not like I'm against using the word "eSport," but I believe it's better for us to make the social status of "games" better rather than impressions of "eSports" in the long term. Daigo: Do you think it's better for the industry to develop? I mean, if there's a ramen restaurant you really love, you might want it not to be popular. Cuz you would have to stand in long line to have a ramen, or ramen would become not delicious. I'd feel more comfortable only with loyal customers than with a lot of tourists. Overall, I think it's better for the industry to develop (I mean, to become more profitable). What are your thoughts on it? Kagecchi (from community, event organizer): I think players who just play games just want the number of players to increase, and suspect the growth of the industry might spoil the situation being. Nyanshi (president of Topanga): I think there are people who suspect, for instance, when the industry become admirable, Daigo would be unable to do whatever he wants to do unlike now. So it's understandable that such proportion of the viewers is against the growth. Daigo: I agree. I feel like I could be against if I played games just as my hobby. Fuudo: I'd definitely agree even if I played games just as my hobby. There'd be tougher competition and increase in the number of players, and we'd play at a higher level.